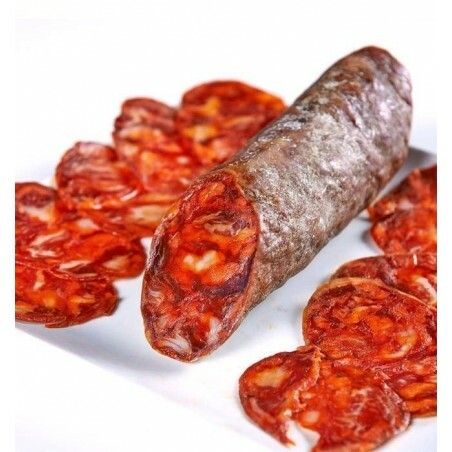 Chorizo Ibérico Vela is a product made from an exclusive selection of the highest quality lean parts of the pig, which in this case is an Iberian breed pig, a unique animal in the world from which the best cured delicacies in Spain are produced, such as the Paleta (ham shoulder or the Jamón Ibérico. This piece of approximately 480 grams is called “vela” (candle in English) because of its shape. The Chorizo Vela is straight and not too wide, about 40 centimetres long and shaped like a candle. 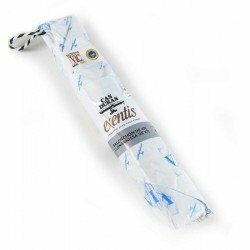 In general, this product is not used to cook but to taste it as it is, enjoy it! The Iberian pig is a unique animal in the world, nobody can reproduce it and we can only find it in the Iberian Peninsula. 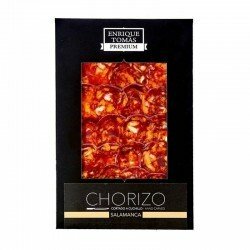 This wonderful animal, in addition to its unique physical characteristics, has the extraordinary quality of infiltrating fat into the muscle, this capacity is not found in any other living being and this is what makes both the iberian ham and the Iberian ham shoulder have such a characteristic taste. For a pig to be considered"Iberian" it must have a minimum breed purity of 50%, in which case only the mother was a pure Iberian pig. In these cases, the crossing with white pigs, the Duroc breed is the most common. From there, we can find 75% Iberian pigs, where in addition to the mother 100% Iberian breed, the father is a pig resulting from a cross between a white and an Iberian pigs and finally, 100% Iberian pigs, producers of the famous Jamón Pata Negra.